The leaves are changing colors, the weather is getting cooler and nothing would make you happier than having your wedding in the fall. While there are plenty of fall trends to incorporate into your fall bridal style, one of my favorite underrated trends has to be wedding gowns with sleeves! It's not often that you see a bride in a gown with long sleeves, especially since strapless is all the rage right now. If you're looking to mix things up though and take your bridal style to the next level, then I highly suggest giving gowns with long sleeves a chance. When shopping for a gown with sleeves, one thing to keep in mind is that quality definitely matters! You get what you pay for, so keep that in mind when choosing the designer of your ultimate dream dress. 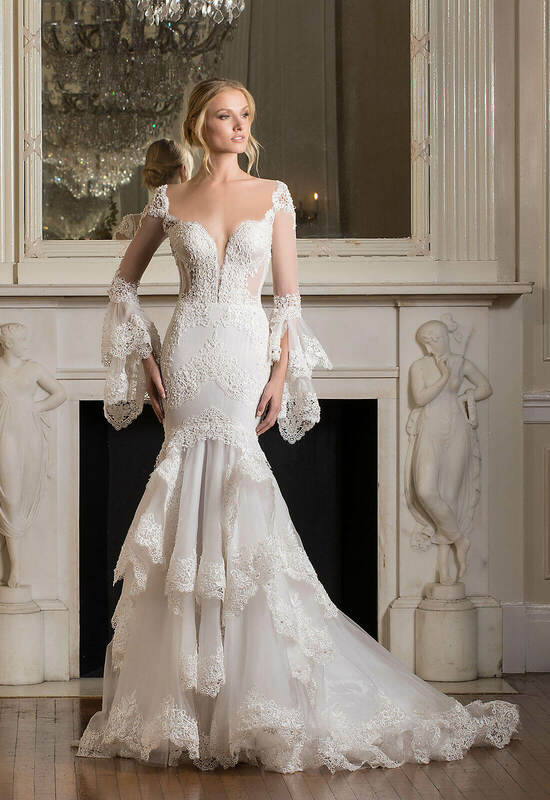 I'm not saying that you have to fork up an arm and a leg just to get great quality either (check out the LOVE by Pnina Tornai Collection if you don't believe me). Just make sure that you select a designer that uses high quality materials so that you can do anything in your wedding dress that your heart desires. Make sure that the material is breathable so that you don't overheat on your special day and make sure that your range of motion isn't restricted while in the gown. We wouldn't want your guests to miss out on those awesome dance moves you were planning on showcasing at your reception! The variety of sleeve options available to you are wonderful as well. You can choose between illusion sleeves, bell sleeves, ¾ sleeves, regular sleeves – you get the gist by now. There are also a lot of short sleeve options, but since it is fall I just think that the longer sleeve options are more fitting for the season! Illusion sleeves are my favorite out of the long sleeve options because I love their innate sensual appearance. They are the modern version of regular sleeves and look very fashion forward. Figure out what kind of sleeve fits your wedding day vision and then give it a try! Fall fashion is known for its gorgeous floral prints, lovely lace patterns and rich deep color palettes! This year break the mold and show that long sleeves are a fashion trend that deserves some recognition. 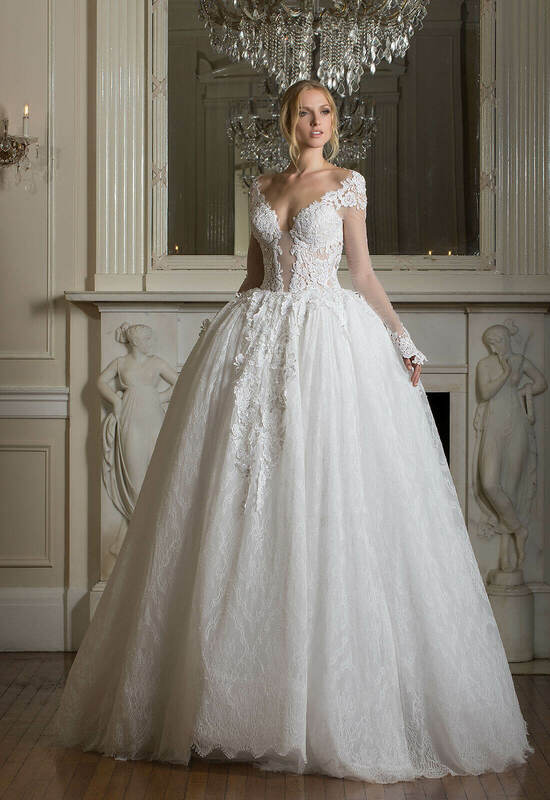 You'd be surprised at what could fit your wedding day style and will love looking back at your unique gown for years to come. 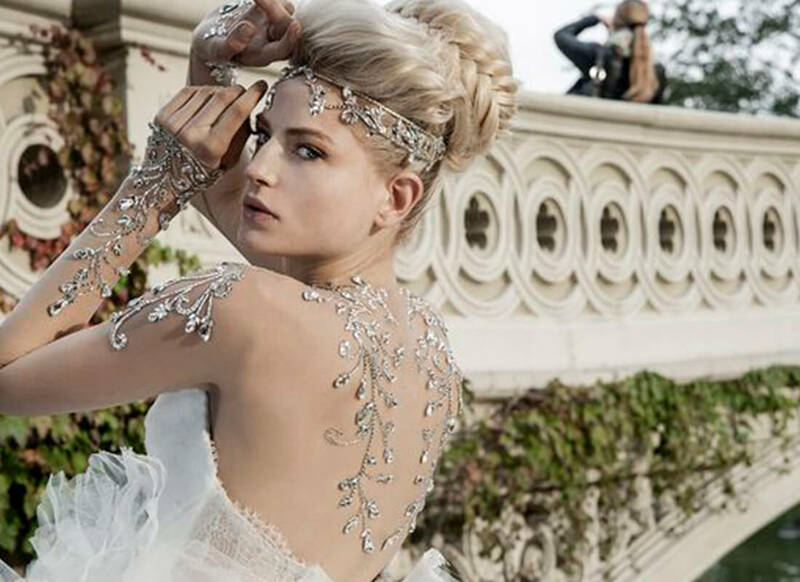 Can't wait to see you at the Pnina Tornai Boutique at Kleinfeld Bridal to help you pick out something fabulous!